Making a series of monograms has been a long time plan although I never really got around to doing it.. 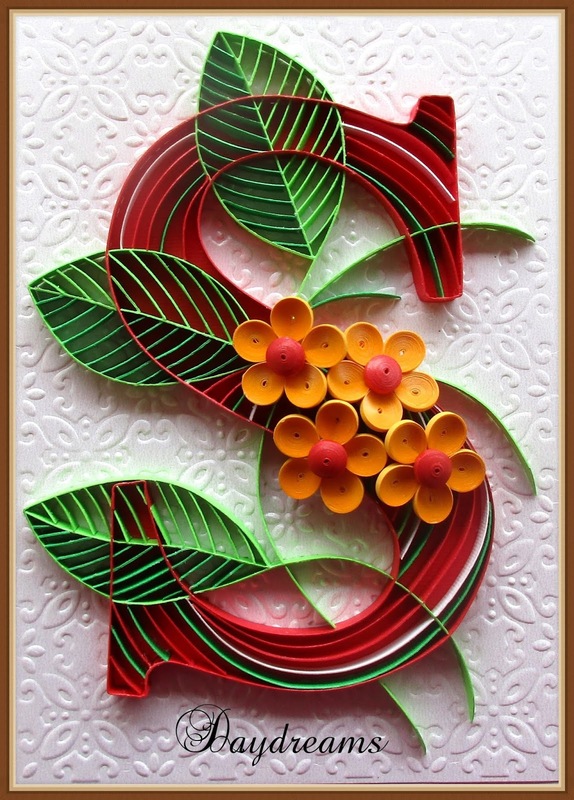 So I was very happy when I received a request for the letter S . I was given full freedom to choose the colours and design. The flowers are made from 2mm quilling strips the rest of the on edge strips are hand cut from 220 gsm card stock sheets. I used two shades of greens red and white . 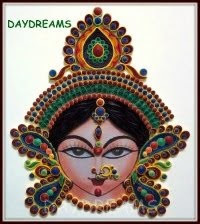 So vibrant and fun - let's see some more Suganthi!